Very good. Trade paperback (US). Glued binding. 288 p. Contains: Illustrations. Audience: Young adult. Fair. 1476764662 PLEASE READ! This book WILL contain heavy wear, excessive highlighting/writing, loose binding, AND/OR water damage. Supplemental materials such as CDs or access codes may NOT be included regardless of title. Contact us with any questions! I bought this for my daughter's school assignment. She really enjoyed reading it and found portions very helpful. My 13 yr old loves this book! This book addresses teens that do not like to read at the beginning of the book...and lets them know that he has made it interesting for them too and promises that they will not regret their time spent reading this book. My 13 year old already likes to read, but said this book was really cool. She is very much into it. I'm glad too, since it reinforces being positive and a good person. As a working mother of four daughters I found this book to be a lifesaver for my teens. Don't buy the book and give it to them--buy the book and leave it lying on the kitchen counter so while the kids are waiting for you or food, they'll pick it up and start to read it. Three of my four daughters have now read the book and I hear them talking the language and practicing the habits with their friends. 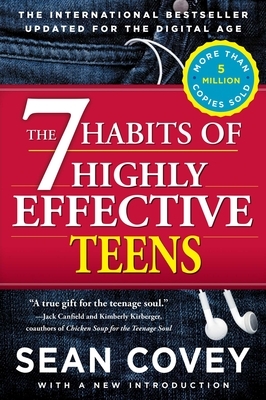 I loved this book and Sean Covey's second teen book, The 6 Most Important Decisions.